We Offer World-Class Team Of Dedicated Mobile App Developers To Develop Your Business App! Are you looking to hire dedicated app developers for Android, iOS or Windows platforms? If yes then partner with Hyperlink Infosystem for the best mobile development. We offer highly experienced and robust mobile app developers to build an exceptional app for your business. We house skilled and expert mobile app developers that stay updated with the latest and upcoming trends to deliver a better solution for your business. Whether you want to hire Android, iOS, Windows or Web App developers, you will get access to knowledgeable and talented app developers in the best hire model. The solution we leverage to our clients is highly compatible with older and the latest versions of the Operating System so that clients can avail the most out of it. Why You Should Hire Dedicated Mobile App Developers From Hyperlink Infosystem? 1. To develop a native mobile app for your business on all major platforms. 2. To develop a tailored and highly customized mobile app. 3. To integrate new updates in an application. 4. Upgrading existing product to the latest OS. 5. To develop prototype and wireframe of an app. 7. Converting Website into Android, iOS or Windows mobile app. Our iOS app developers have developed a huge range of iPhone and iPad apps for the various domains and industries. Our developers know what it takes to deliver a secured, robust and successful mobile apps to the clients. We have an extensive knowledge of tools and languages like Objective-C, Swift, and X-Code to develop a best mobile app for your business. Our Android app developers are well updated with latest tools, languages, and technologies to deliver a highly intuitive and competitive mobile app. Whether it's Marshmallow or Nougat, we develop an app with the latest OS and technology. Though not so renowned like Android and iOS, it is the third most approached platform for an app development. Hire our windows app developers and experience the difference. Want To Hire Our Dedicated Mobile App Developers? Want to develop a best mobile app for your business? 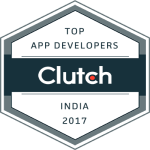 Hire our dedicated app developers in the best hiring model. Drop your requirements and contact us for more details.